Macao Post and Telecommunications Bureau will release the “Supplements for Philatelic Album of Macao 2016” on 10 February 2017, it will be available for sale at the Philatelic Shop of General Post Office and the Communications Museum. The album pages are pre-printed with all the stamps’ images of 2016. 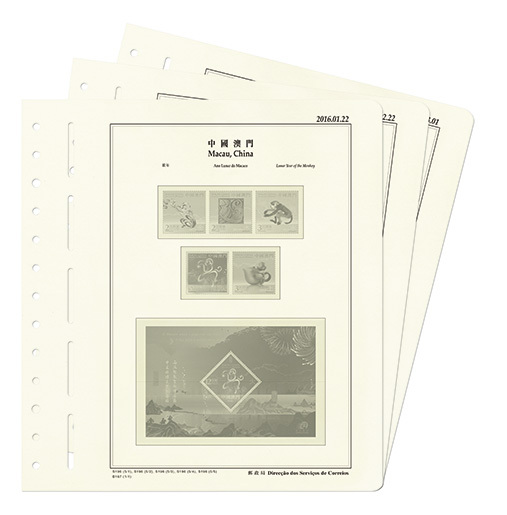 Your collections of stamps and souvenir sheets of 2016 can be put into the pre-printed pages for convenient collection. The selling price of Supplements for Philatelic Album of Macao 2016 is MOP270.00.